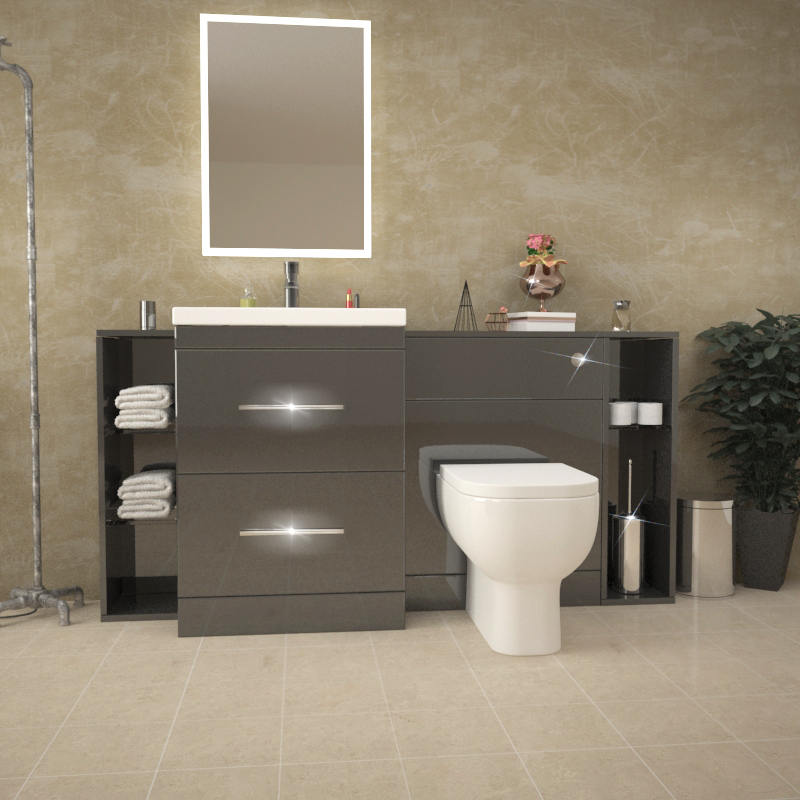 Empower your bathroom with the Patello 1600 bathroom set. 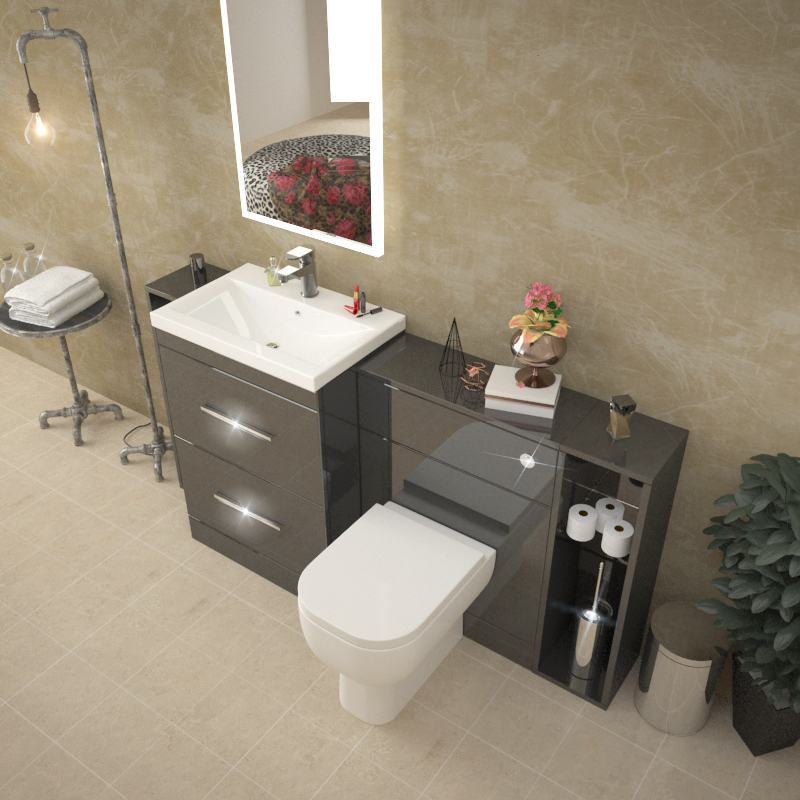 Just one of the range options available, these four units are versatile and can be rearranged to suit your existing plumbing needs, no matter the shape of your bathroom. 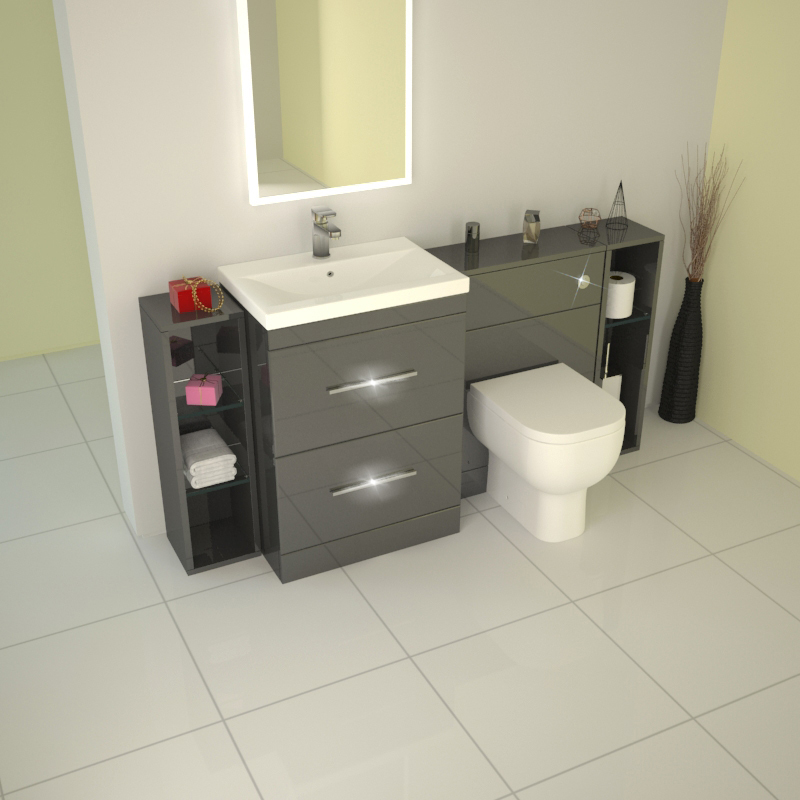 The central focal point of this suite has to be stunning Patello Vanity Unit. 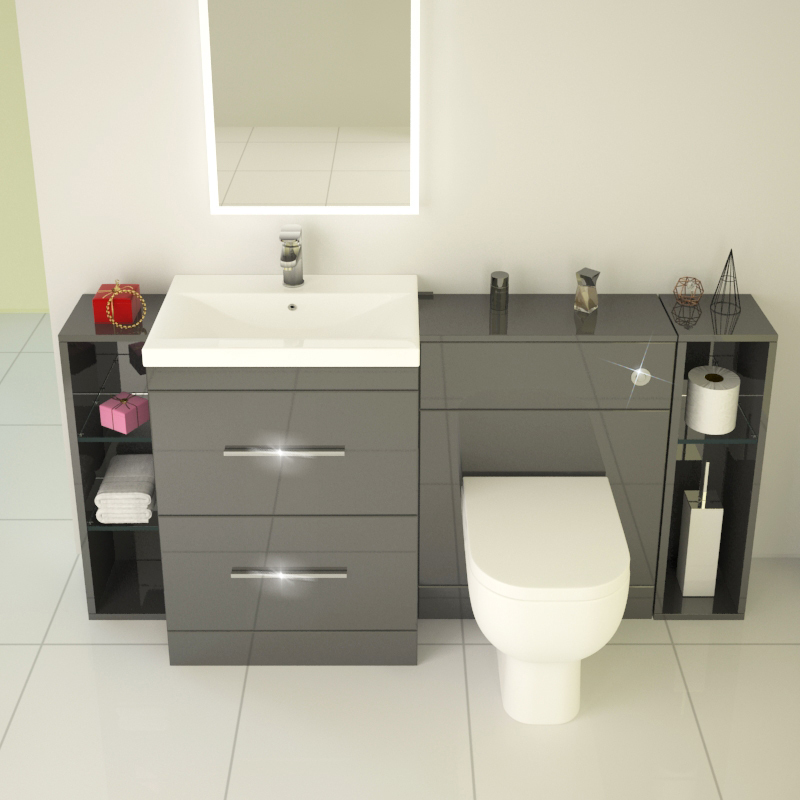 Featuring a curved ceramic basin with an integrated overflow, this acrylic finished unit is supplied with a decent size and is coated with two soft closing drawers, perfect for creating storage in style. The next larger component is the Patello Back to Wall unit. Designed to save floor space, it comes with a reduced depth, a sleek design and an acrylic finish to continue the high-gloss modern look of the entire set. 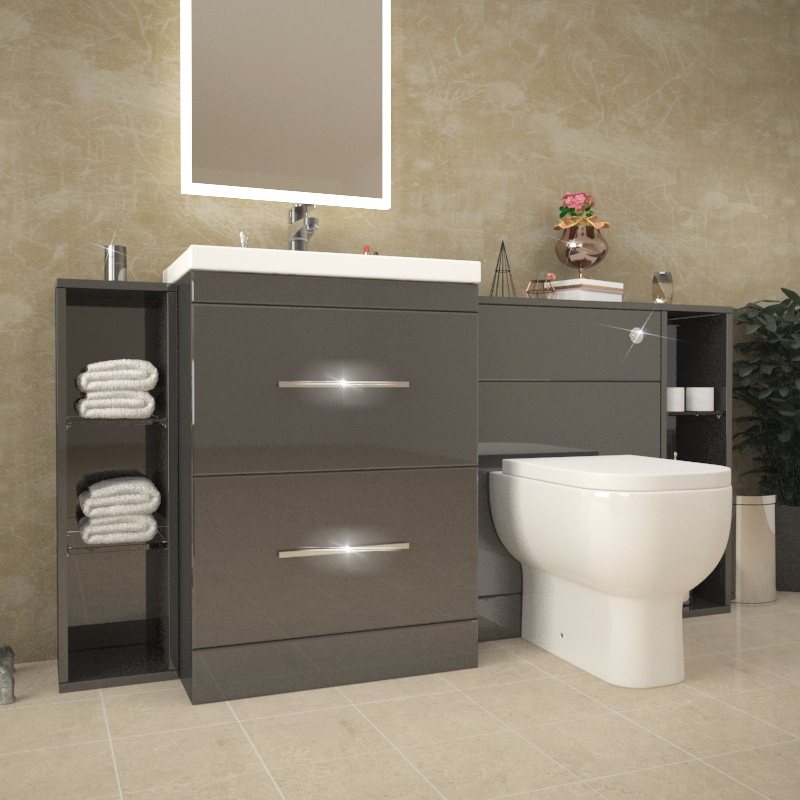 Interchangeable to suit your bathroom needs, the set also comes with 2 Patello 200 Storage Units, each boasting removable glass shelves to optimise storage. 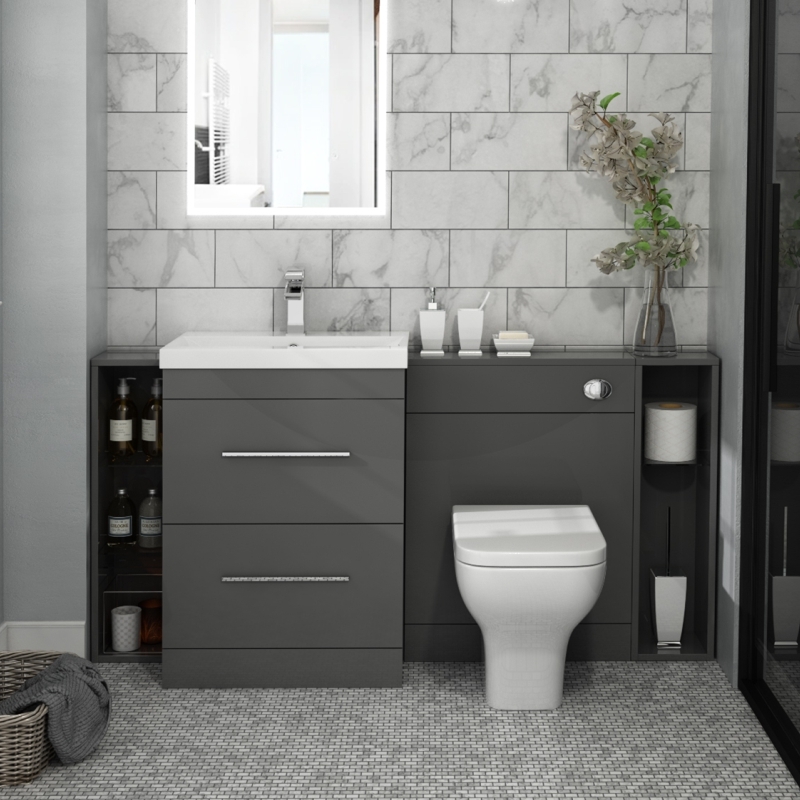 These open storage units are ideal for toilet brushes, toilet rolls, and toilet accessories, and can also be positioned anywhere in the bathroom to give you essential extra storage. For more information on what is included in this package, please read below.